Down feathers are more fluffy than standard feathers and make for an excellent duvet filling. The soft under feathers from geese are the perfect insulators. They're unique loft (how fluffy they are) means they create thousands of tiny air pockets. This air becomes warm and the heat is retained in the duvet. A cosy, long life duvet. Down feathers have no spine so they are less likely to escape from your duvet. Meaning your down duvet will be more durable and have a longer life. While the location of the down feather really doesn't make a difference, (Hungarian or Canadian) we believe our Siberian down is one of the best feathers available. 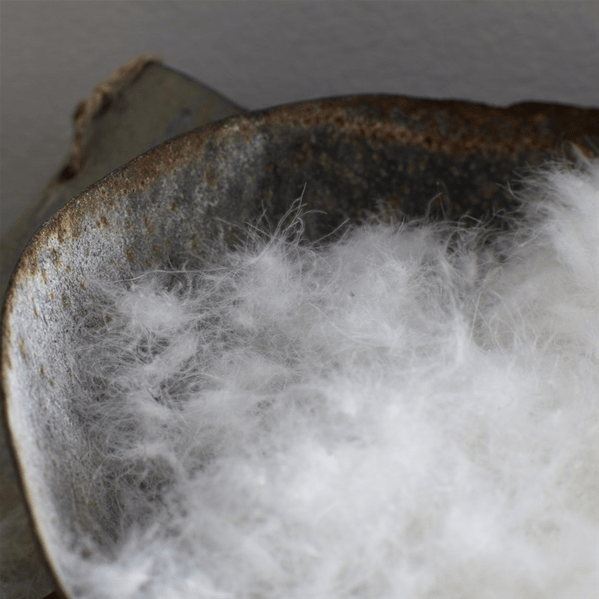 A naturally high loft and fluffiness means the duvet is incredibly light but extremely cosy. Available in a wide range of togs. If you can't find the size or type of duvet you need please contact us for a quoted price. All duvets are manufactured in the UK. King Duvet in Luxury 100% Siberian Goose DownSize : 90" x 86" (225 x 220cm)The incredibly ligh..
Super King Duvet in Luxury 100% Siberian Goose DownSize : 102" x 86" (260 x 220cm)The incredib..